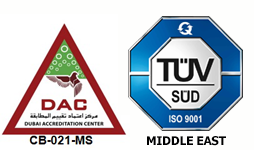 OnTides International FZC is recognized as one of the leading manufacturer & supplier of Cable Laying Equipments, Pipe Supports & Vibration Isolators in the GCC market. Our manufacturing unit is equipped with High Tech machinery which is able to produce customized products as per customer needs. Our wide range of products are widely used in industry like oil & gas, construction, power plant erection, marine & shipyards, maintenance which comes handy to EPC Companies, Electromechanical Companies, Electrical Contractors and Traders depending upon their project needs as well as to keep in stock for their future ventures. Due to increasing demands, we have our own warehouse where we keep stock of fast moving items and are readily available upon request. We have a complete team of professionals with experience in handling the customer queries and ensuring timely feedback as per customer demands. Since our inception, our mission is to be the best and the preferred source for the customer and we are continuously striving to achieve our mission. Dedication & Continuous efforts to improve have always been the company’s aim to success. Quality of our products & Professionalism of our team makes us different from our competitor and outstands us in this highly competitive market. Established in 2009 and started its operation as a Trader of Cable Laying Equipments & Accessories under the name of M/s SABOO International FZC which is still functional in market and in 2015 switched to M/s OnTides International FZC as the manufacturer and supplier of Cable Laying Equipments, Pipe Supports & Vibration Isolators. The continuous development of our technologies and our expansion of distribution network make us today one of the leading supplier of Cable Laying Equipments, Pipe Supports & Vibration Isolators in GCC market.